Staplers. Everyone has used one at least once and most likely everyone owns one. They’re used in schools, offices, homes and factories. Attaching stacks of paper and helping enclose packages, staplers are available in many different forms. There are miniature versions, hand-held plier designs, automatic staple guns and heavy-duty variations. We here at Bostitch Office find that staplers are a key element in every work setting and can offer a luxurious experience. Though, we might be biased. Thought of as such a simple product, staplers had a slow but steady process in development, like most inventions. 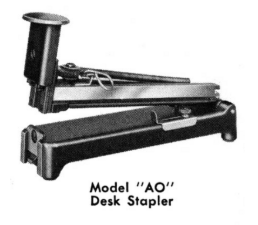 Once the demand of staplers increased, so did the functionality of the product themselves. When was the stapler invented? Before staplers and staples were invented, there was gluing, sewing and wax stamps as ways to attach pages together. All were strong efforts, though nothing held large paper stacks together as single document. Technically, there is no one person who really invented the stapler as a whole. Each year to come would introduce new improvements. Where was Bostitch in all of this? Well, a fresh new way to bind books together was invented in 1896. Thomas Briggs created what would later become known as the wire stitcher, binding books using wire. He later founded the Boston Wire Stitcher Company and released the very first foot-operated Boston Wire Stitchers in 1903. Three years later, the Bostitch Model A Staple Binder was developed. This Bostitch product used the first preformed staples on tin cores. 1914 came around and the Bostitch Model AO was produced. It featured a compact design and simplified loading, great for widespread use. Then, in 1923, the Bostitch Model B-1 Desk Stapler was introduced. It had an affordable stamped steel construction and was the first to use a coiled pusher spring. The development of the first strip of easy-to-load "cemented" staples (standard staples) came a year later in 1924. An even simpler reloading design came in 1937, almost 70 years after the first stapler emerged. Stationary wholesaler, Jack Linsky, created a design that would allow users to simply open the top of the machine to insert a row of staplers. (2) As you could guess, the business of staplers only grew from there. And after that? Well, Bostitch has since been working hard to deliver consumers staplers that are high quality, easy to use and affordable. We’ve even combined multiple products in one, like the 3-in-1 Dynamo™ stapler that includes an integrated pencil sharpener and staple remover. Curious about our company's full past now that you've heard about the history of staplers? Check out our history page here! 1. "A Brief History of Staples" - Mental Floss. (2009, August 26). 2. "A Summary Of the History About Staplers" - Staple Slinger. (2016, May 02). My father gave me a Bostitch model 855 (maybe from the 1930's?) which he used for 38 years before retiring in 1975. I still use it and am glad today's staples fit it. It is strong and never fails. 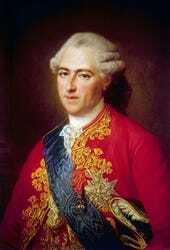 Unfortunately, there is no evidence whatsoever that King Louis XV had anything to do with staplers. Why would a king be stapling anything anyway? This rumor seems to have started from a now defunct collector's site, but it isn't true.